Thermolite by Hydromatt is a 10 tube commercial grade solar collector. The special formulation makes it even more resistant to UV, chlorine and micro-organic attack (than Hydromatt HD). Thermolite is available in a range of colours to suit your roof and colour of your house. Must be used with Hydromatt Locking Collars. We, at Hydromatt, have been manufacturing our solar matting since 1978 and sell to swimming pool companies, solar installers and the general public throughout Australia and New Zealand, so we are able to offer to you an excellent product at a very low cost. We have been manufacturing Hydromatt solar collector since the seventies. 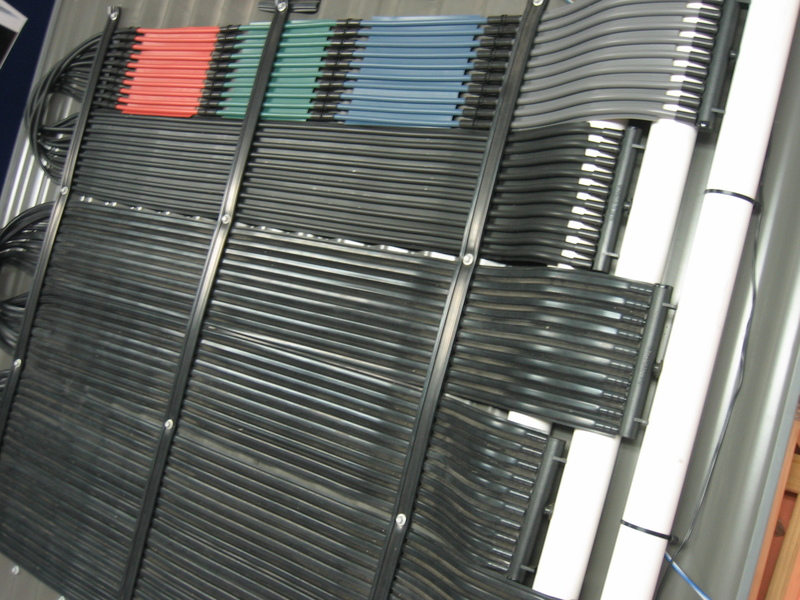 All our solar collectors are extruded using the most up to date hi-tech equipment available in the world.